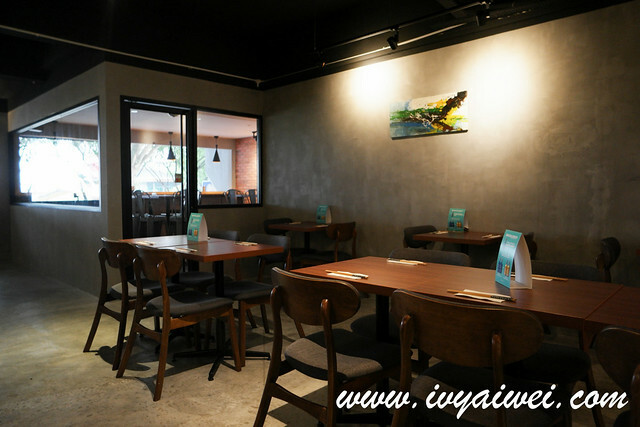 If you have been following my blog or instagram for long, you will notice, there will be some izakaya sessions, on and off. Not many, maybe it’s like … once or twice a month and most of them are on Friday! 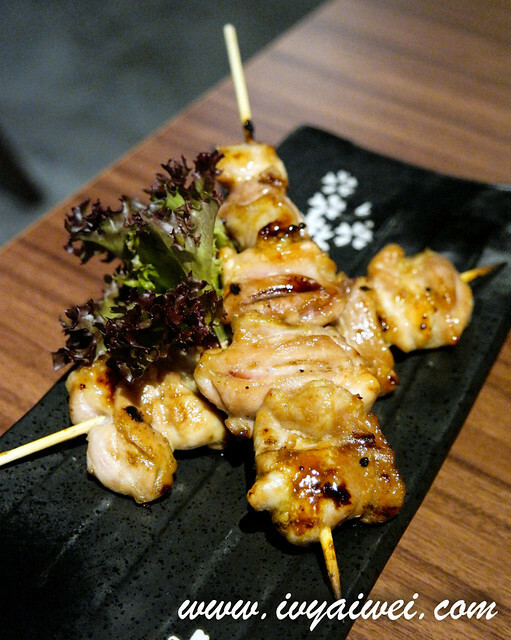 Yep, Fridays are my izakaya night! 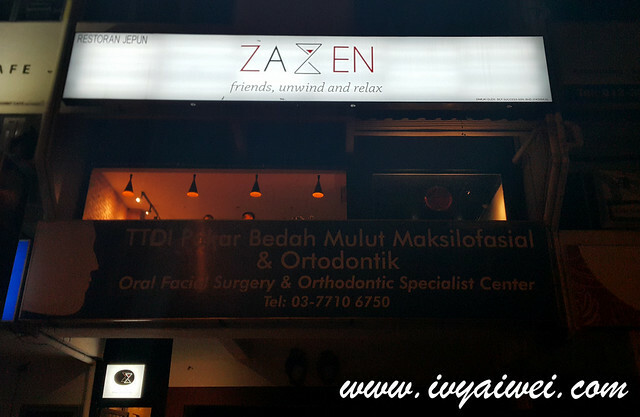 Seated in the quiet and peaceful neighbourhood of TTDI, this is a bar and dining place, called ZaZen. 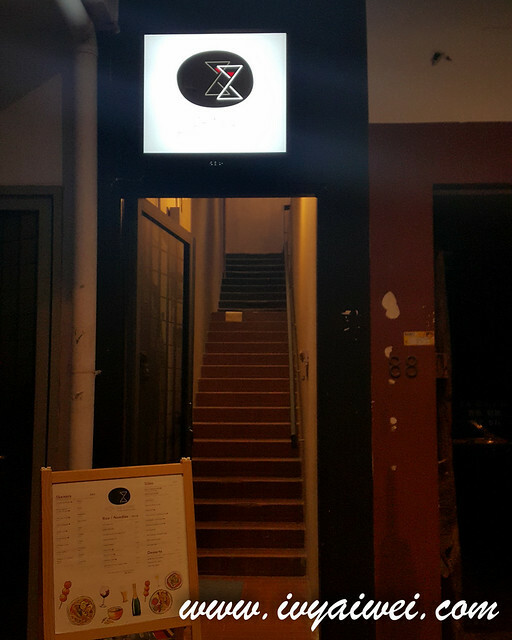 This pretty zen place, is the brainchild of 3 friends, who have travelled round the globe and decided to bring back the gastronomic affair that they missed so much back then during their journey. 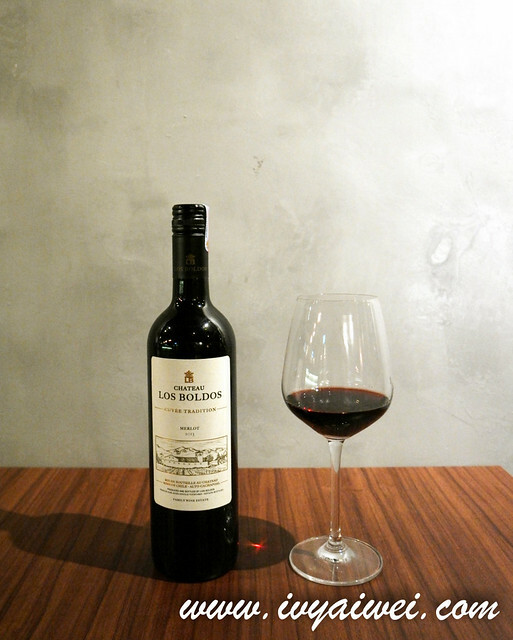 All You Can Drink session is available on every Friday, from 7pm to 10pm. 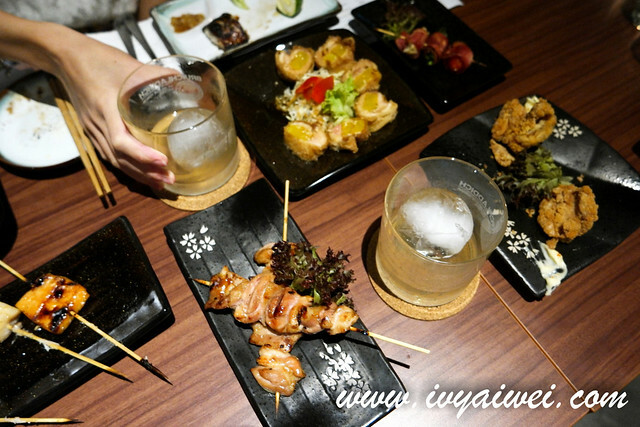 At just Rm 99 nett, you will get to try on the various types of whiskies, beers, sake and wine. 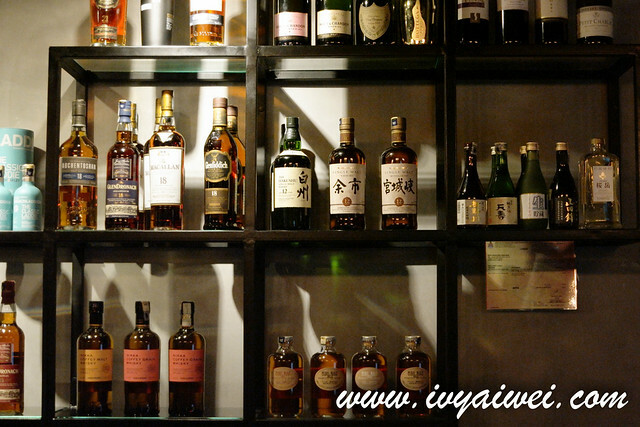 They will change the selection of whiskies every week so you won’t be bored with the same selection of boozes. This is really interesting! 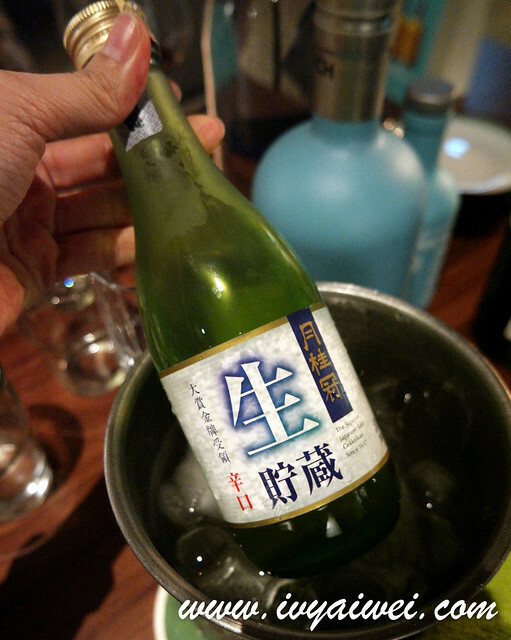 Just like some of the izakaya bars in Japan, where they offer this kind of All You Can Drink 飲み放題 (Nomihōdai) in a limited time. ZaZen’s aim is to create awareness for public to taste different types of whiskies. Whisky tasting is available monthly too (or check out their page for more details). It is a social activity conducted by whisky suppliers and diners are invited to analyse the whisky of different years through taste and aroma. 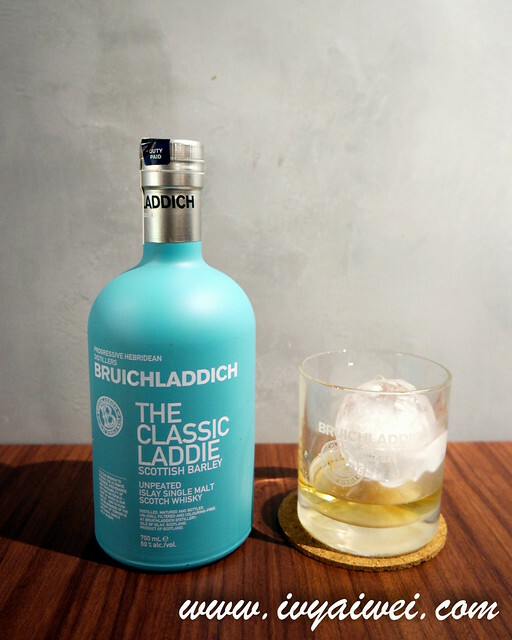 Sampled the Bruichladdich Classic Laddie – single malt Scotch whisky which has a refreshing sweet hint which is good to pair with the skewer and snack. ZaZen is currently having promotion on this whisky, Rm 260 per bottle. 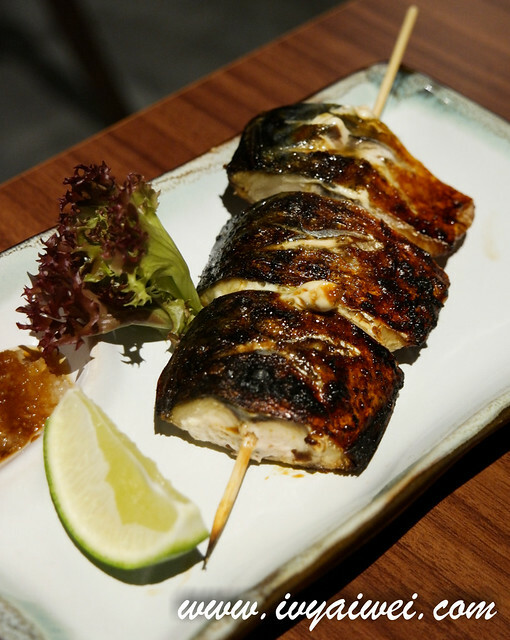 Grilled mackerel was so fat and juicy. Thick cut and grilled to perfection with crispy skin attached on. Butterfish was amazing! Smokey and coated with a hint of sweet buttery flavour. 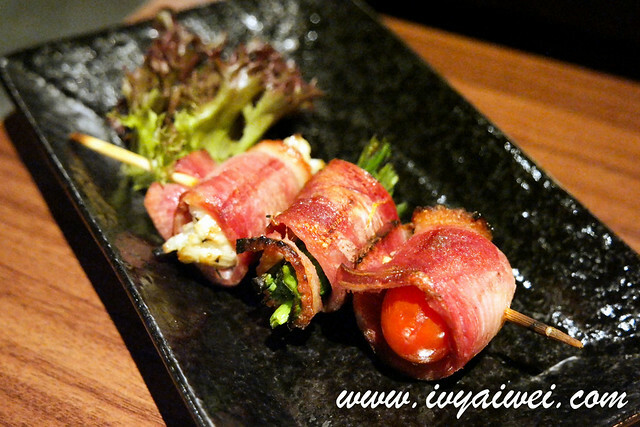 Smoked duck slices wrapped with enoki, negi and cherry tomato. This is what I love most! 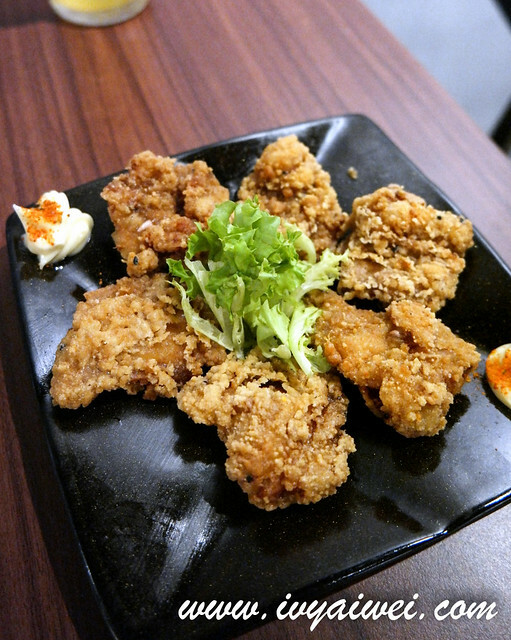 I can conclude this is the best tori karaage I have ever had. It looked dry but never at all. 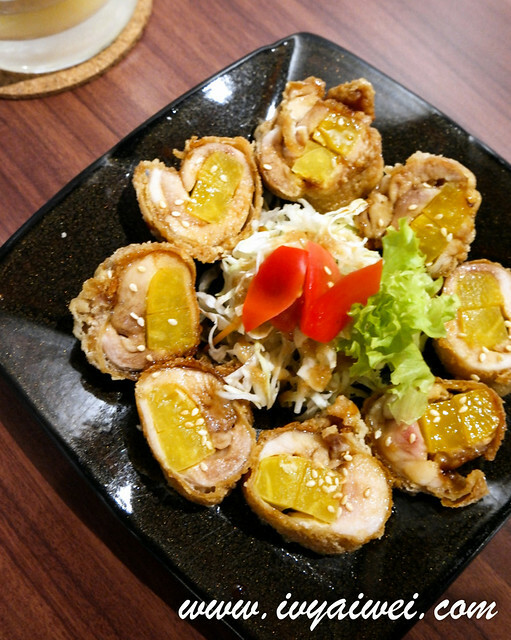 The skin was crispy and crunchy, with moist and tender chicken encased within the batter. So good! 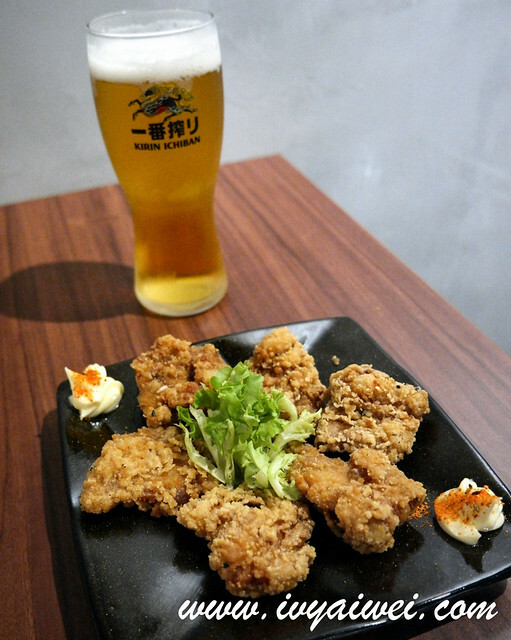 Best to go with a glass of chilled Kirin Beer, of course. This is really something I highly recommend. This chicken roll was really special. 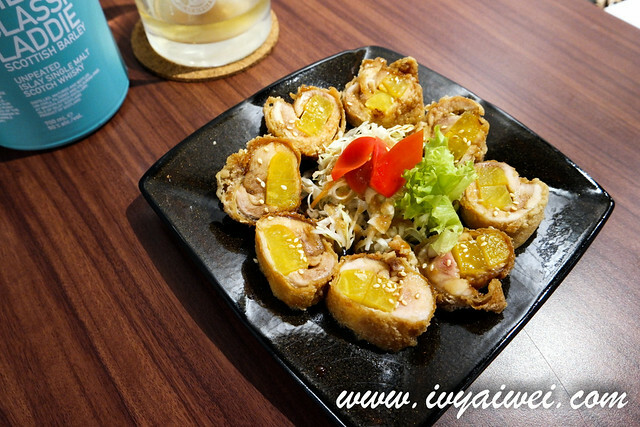 With the pickled radish that gave a hint of sweetness to the chicken roll, garnished with toasted white sesame and served with salad in the center. Another good stuff to go with the alcohol beverages. 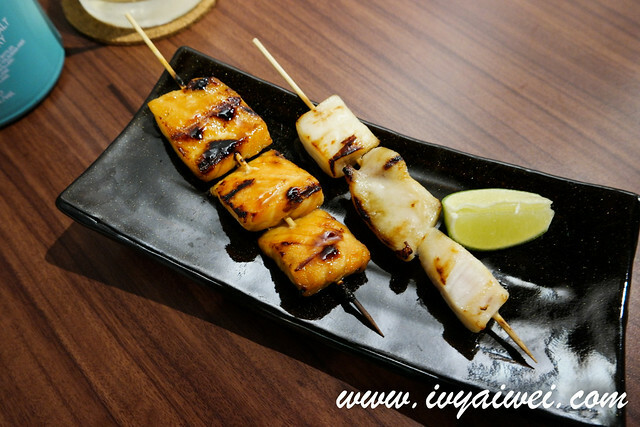 Aside from snack and skewer, we all need tummy filler right?! 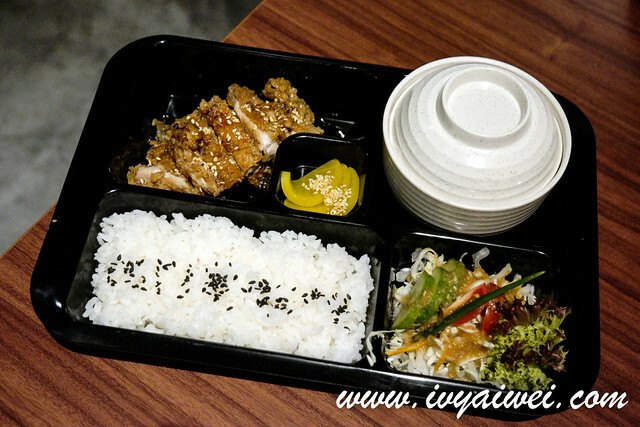 ZaZen offers noodles and rice dish too. 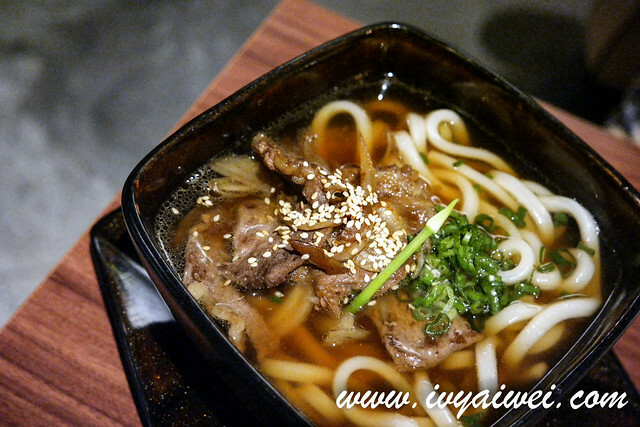 Niku Udon (Rm 16) was the great tummy filler especially on the rainy night. 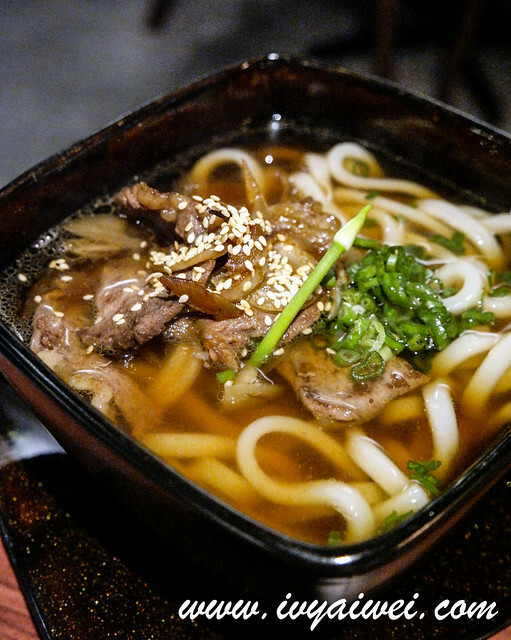 Hot piping clear flavourful broth filled with chewy udon and topped with marinated beef slices which were tender and sweet savoury at the same time. At the price of this, the portion was pretty generous. I know it is just Tuesday… but we have to get ready for the weekend! Make plans ahead and get ready to untie all the knots that are trapped and tensed up in your muscle cells, with a sip or 2.